This box from Oaxaca Mexico depicts a male day of the dead figurine on his knees with a little kitty in front of him and flowers proposing to a woman. There is glitter and mirror that says " I love you" inside the box. 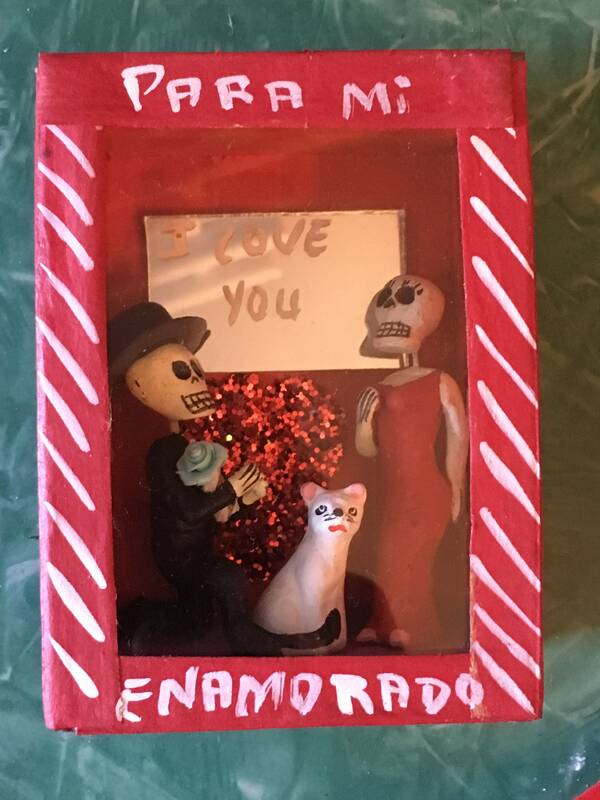 On the outside of the box is written " Para mi Enamorado" (for my love).